The public should ideally not have to pay for the truth to counter the mainstream media’s deliberate avoidance of the truth and enthusiasm for misinformation, because of political and probably financial reward. This book, together with several others and oodles of other blog posts provide all evidence needed to balance the propaganda. 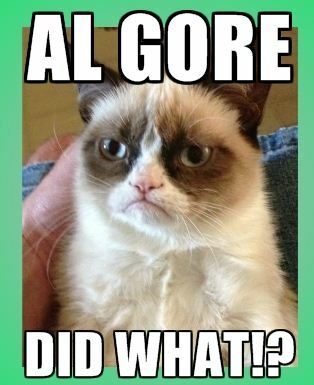 As reported on WUWT on Tuesday, New book from Dr. Roy Spencer on Al Gore’s fallacies: An Inconvenient Deception – How Al Gore Distorts Climate Science and Energy Policy – Al Gore has provided a target-rich environment of deceptions in his new movie. Hell hath no fury like an alarmist scorned. I’ve been the victim of The Wrath of Gore too..
After Climategate, WordPress.com reported that all advertising they sponsor via Google Adwords was inexplicably pulled from their servers whenever it was displayed on WUWT. When wordpress.com executives requested a meeting with Google to explain this, it was at first granted, then canceled 24 hours later with no explanation and attempts to reschedule fell on deaf ears.